Apart from the amazing winter weather, the luxurious lifestyle and the great tourist attractions, we’re here to work and earn money. It’s what we do with the money we’ve earned that makes the difference. If we’re living the high life we will not be saving much. A high percentage of the expat population in Dubai send money to other countries around the world, often their home country, making this a lucrative and growing business. This hard-earned money helps educate, feed and clothe their families. Expo 2020 is only 5 years away. Dubai is expecting to see an increase in expat workers of nearly 275,000 and therefore the money exchanges will probably see an increase in money remittances – yippee they say!! The fees for the transfers vary between the exchange houses and we will try to bring you comparison rates soon. Some of the money exchange companies have special rates for different countries, e.g. India and the Philippines. Some money exchanges are now offering pension schemes and the Dubai Sherpas will be publishing a report on this as soon as we have carried out further research..
Do not lose your receipt from the money exchange outlet for any remittances you have sent. You may need this if something doesn’t go to plan, i.e. doesn’t arrive or isn’t transferred for whatever reason. There are numerous money exchange outlets in Dubai. You will find them in malls and in some of the more densely packed residential areas where there are shops on the ground floor and apartments above, e.g. Satwa and Karama. If truth be told, there are outlets across Dubai and you will find an exchange near to your work or accommodation. Some exchanges allow online transfers. Online banking allows you to transfer money easily through the internet. It is unlikely that many lower paid workers will have the benefit of a bank account and therefore the money exchange facilities are a Godsend. You may need proof of ID – take your passport, driving license or Emirates ID card with you. These are a few of the money exchange signs you will see in Dubai. Check out their websites for updated information about sending money abroad. The money exchange outlets always appear busy, particularly at the weekends. The best time of day to visit is early morning. Always read the small print to make sure you are getting the best possible rate and that there are no hidden charges. For example, some exchanges take a fee when collected in the other country. Most banks have systems in place to allow international transfers. Check with your bank regarding the rates – some allow one or two free transfers a month. You may be able to organise the transfer online. For larger sums you can organise a transfer through a money transfer company online or in person. Use an authorised exchange outlet only. These legal and licensed money exchange companies are audited on a very regular basis to ensure there is no malpractice in any of the outlets. Licensing of the exchange houses is also extremely strict and at the beginning of 2014 the Central Bank issued an updated which you can view at Emirates 24/7 online news. Do not deal with individuals who say they will organise the remittance for you. Firstly, you have no security whatsoever and secondly, it is an illegal practice. Licensing for this type of activity is mandatory and there are strict regulations in place. There are strong auditing processes, rules and regulations which mean that your money is safe. Money laundering is illegal in Dubai and the UAE and the authorities continue to work towards zero tolerance towards money laundering. 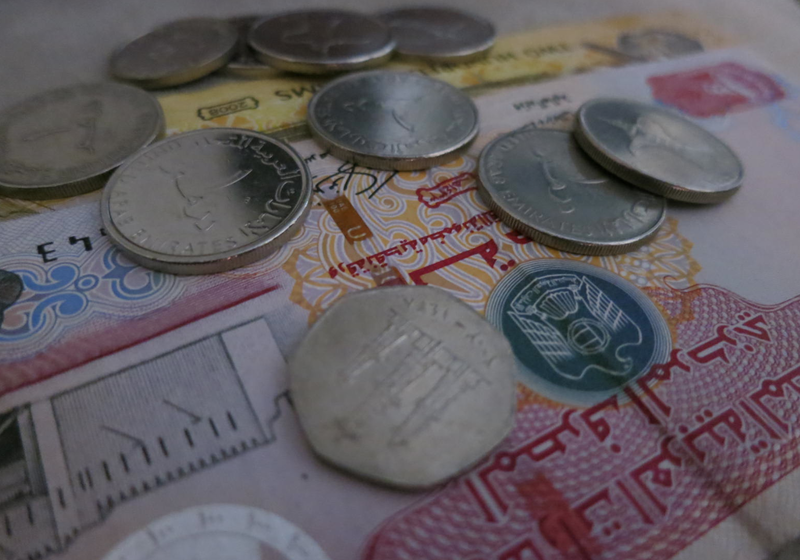 You can get many different currencies exchanged for dirhams or most other currencies. The staff are helpful and efficient so just ask one of the employees for advice or assistance and they’ll point you in the right direction or guide you through the process. Dubai’s a great place to earn money – and spend it – try to put some aside for a rainy day.